The Butler is a short novella entwining romance and mystery into a story about a young woman who travels to Paris and falls in love with a butler. Andrea is a poor farm-girl from Kansas who is sponsored by a wealthy family to attend college in Paris. When she arrives, the butler, Da'Shaun, takes Andrea on a tour of the city and the two fall madly in love with each other. Andrea however, is made privy by a member of the household of a nasty murder that took place several years ago. 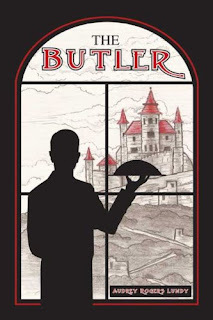 The Butler 's story itself is intriguing, but qualifies as strictly novella material with a lack of character development. The setting also lacks in description, as the book's official synopsis promises a glimpse of the "lush French countryside" against the "backdrop of an immense castle", and fails to give readers a clear picture of France that we don't already know about. The piece is very fairytale-like with a predictable happy ending. I would recommend this book to someone looking for an escape from reality for an hour, but don't bank on originality. Because The Butler was edited by the author alone, there are many grammatical errors. The first two chapters are incredibly confusing because Lundy carelessly switches the point of view between first- and third-person. I had to remind myself several times they were merely errors and not multiple personalities or ghosts stepping in to narrate. Perhaps the book would be more marketable if it were advertised as fairytale material.